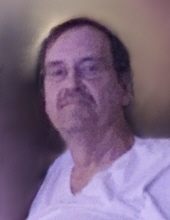 GERRY W. BIERMANN, 59, of Rock Island, IL, passed away Friday, January 25, 2019 at Genesis East Medical Center in Davenport, IA. Funeral services will be held at 2:00 p.m. Tuesday, January 29, 2019 at Community Reformed Church in Clinton, IA, preceded by a visitation from 12:00 p.m. until the time of the service. Pastor Bob Hoffman will officiate; interment will be at Clinton Lawn Cemetery in Clinton, IA. The Fulton Chapel of the Bosma-Renkes Funeral Home is in charge of arrangements. A memorial to Community Reformed Church has been established. Gerry was born April 5, 1959, in Clinton, IA, to Gene C. and Gloria F. (DeWeerdt) Biermann. He was educated in the Clinton grade schools and was a 1977 graduate of Clinton High School. In 1978 he married Crystal Schult in Nashua, IA. Gerry was employed as a production machine computer operator by Alcoa Davenport Works in Davenport, IA. He was a member of the Community Reformed Church in Clinton. Gerry enjoyed music, especially rock and roll. Survivors include two daughters, Jennifer Biermann of Missouri and Rebecca (John) Korkie of Winterset, IA; ten grandchildren; his parents, Gene and Gloria Biermann of Clinton, IA, one sister, Gayle (Roger) Dykstra of Thomson, IL; many nieces and nephews. He was preceded in death by one sister, Gena R. Biermann. To send flowers or a remembrance gift to the family of Gerry W. Biermann, please visit our Tribute Store. "Email Address" would like to share the life celebration of Gerry W. Biermann. Click on the "link" to go to share a favorite memory or leave a condolence message for the family.